After removing a lipstick color that didn't suit me, I rummaged through my box of lipstick to find something else to wear. 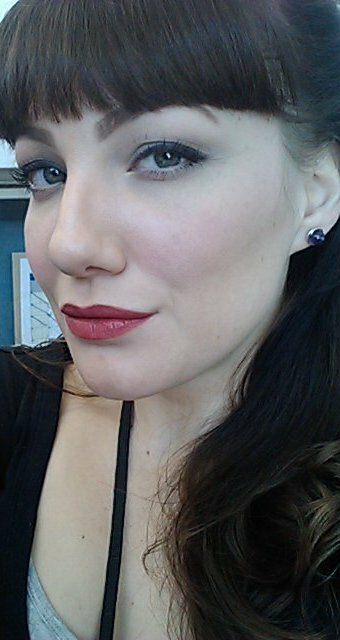 I came across L'oreal Infallible Lipstick in Refined Ruby. 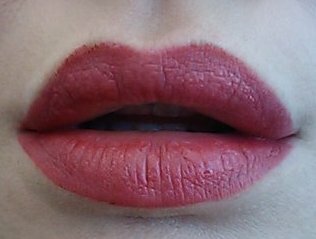 This is a deep, ruby-red lipstick (yeah, duh), and it is one that I swatched when I bought it, thought it too bold, and tossed it in the lipstick pit box for braver days. 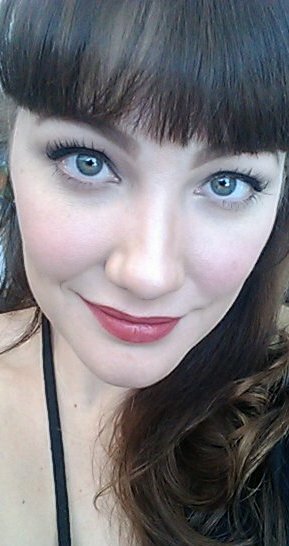 Since I had been trying out a pin-up look, I thought it would be a good day to put on a bold red lip! I cannot believe this poor little guy has been hanging out in the lipstick pit for this long! Behold! BAM! There's a bright red lip, with just the right about of blue to look right against my skintone! This stuff wore for hours, and then looked beautiful when topped with balm. To refresh, I just applied a new layer right on top of the balm, and it looked first-application-fresh! I really love that it doesn't visually diminish my lips. I am beginning to love bright, bold colors, but I hate it when they make my lips look smaller. Haha! Can we say "trying too hard?" I was trying to mimic that whole pin-up thing, in my defense.